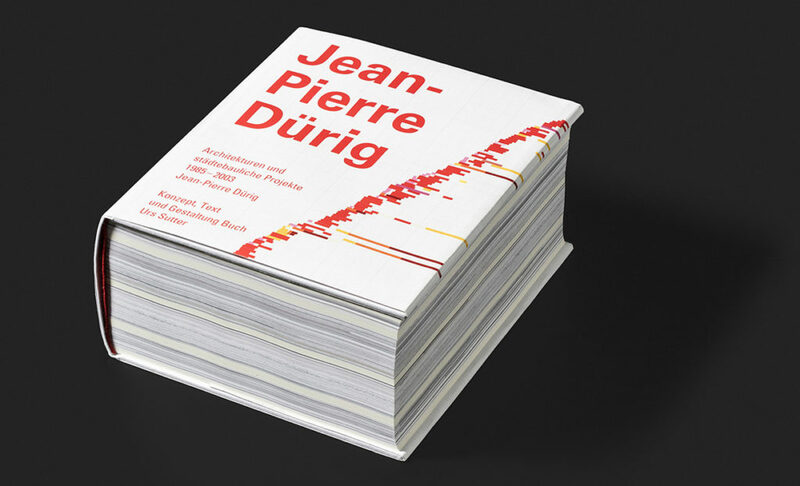 We’re delighted the AA Library has been presented with a copy of the book, Monografie Jean-Pierre Dürig, Architekt Projekte 1985-2003, by Jean-Pierre Dürig and Urs Sutter. 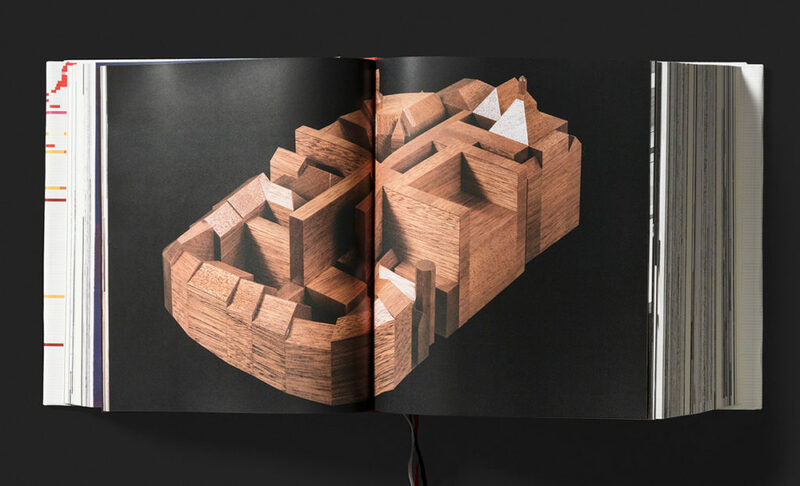 A limited edition (the book is number 49 of 200), it is a tour de force of graphic design and architectural book publishing: it is a hefty volume with 2104 pages and weighing 6 kilos. 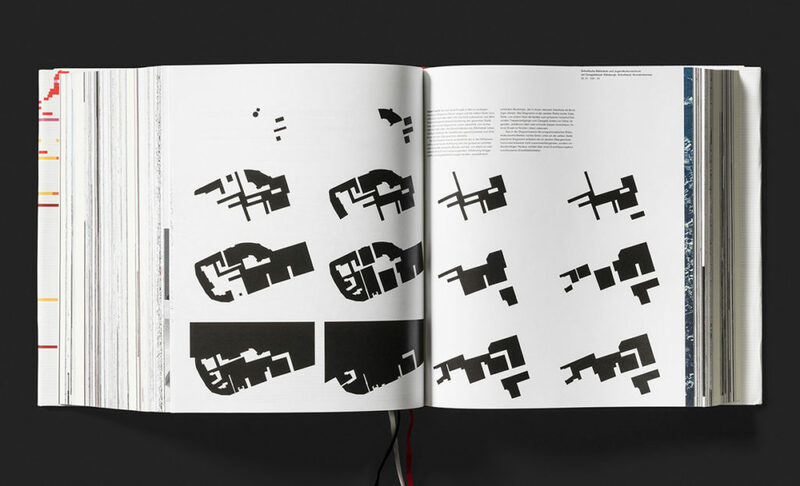 Due to its range and scope, it took from 2003-17 to research, design and complete the book. 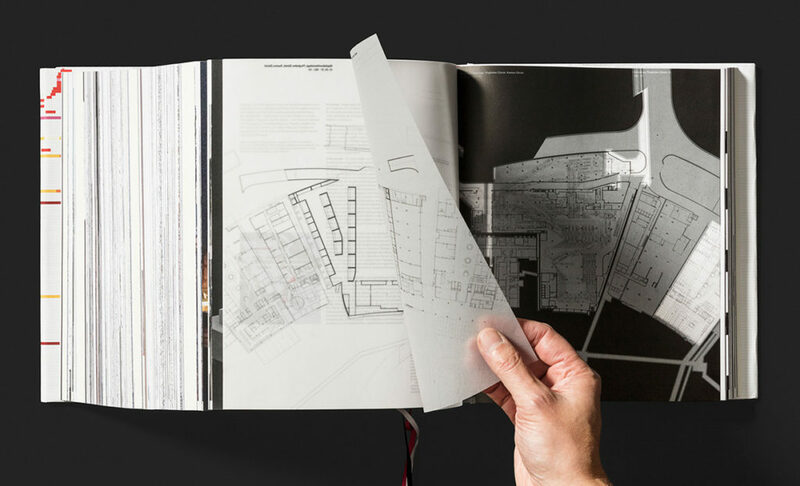 It was designed as a compendium and illustrates all of Dürig’s 264 projects and competition entries. The content consists of a mix of drawings, text, diagrams, photographs and reproductions of printed literature. Several of the drawings are printed on tracing paper, which can be laid over each other to show how a project has developed over time. The data is represented in several different formats, including maps that show the project’s location. 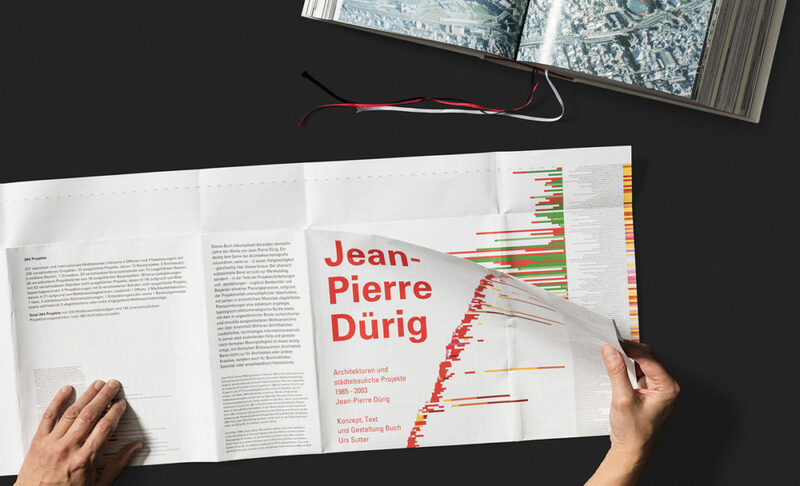 Even the book cover is a pull out poster which shows projects represented by colour codes. Jean-Pierre Dürig (1958-) studied at ETH Zurich, and partly due to his success in winning competitions, set up his own architectural practice in Zurich in 1987. From 1990-2002 he founded a partnership with Philippe Rami, known as Dürig and Rami Architects; their work ranged from housing to airport buildings. From 2003 Dürig went back to practice by himself. Dürig’s work has been published extensively worldwide, including in the journal, Werk Bauen & Wohnen. With Rami, his work includes the Yokohama port competition, 1995; project for the centre of Zollikerberg, 1995; Prado museum competition, 1996; offices in Stolzlpark, Salzburg, Austria, 1996; tram waiting room at Zurich’s Bahnhofstrasse, 2001; baggage handling building at Zurich Airport, 2001; entrance to Zurich zoo, 2001; and winners of the competition for a theatre in Fribourg’s Grand-Place, 2002.